Joseph Mitchell (right), 7, holds his dad Rev. 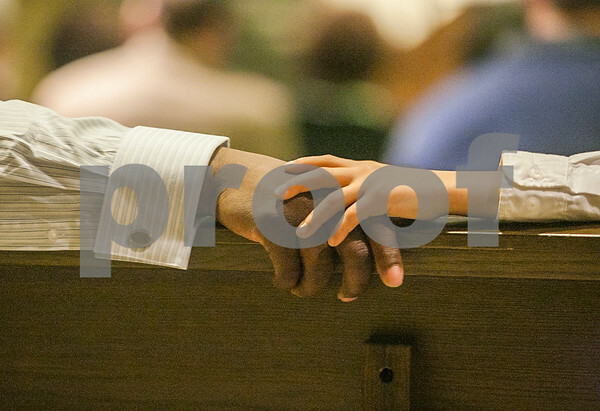 Joseph Mitchell's hand during the "A Commemoration of the Beloved Community of Dr. Martin Luther King, Jr. through Words and Music" program at St. Paul's Episcopal Church in DeKalb on Monday, January 19, 2015. There were ten different congregations from around the county represented in the audience.